Have just had some wonderful news that I really really had to share with you all!! I was gobsmacked when she talked me through how to find out where the winning cards were on show.. I have shared the card on here previously – but this is what I have copied and pasted from Jammi Panda's website!!! Well done well done well done!!!!! 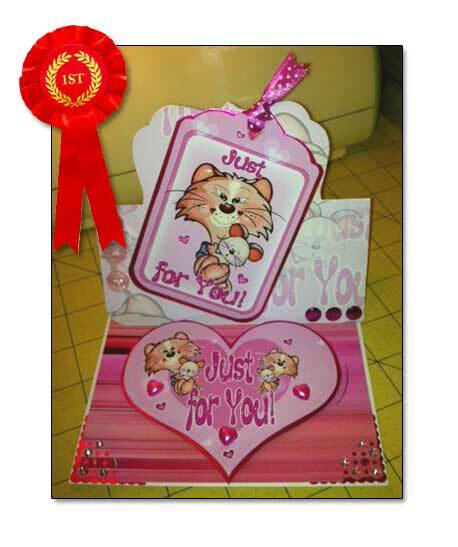 Congratulations Angie - your card deserves to win 1st prize.